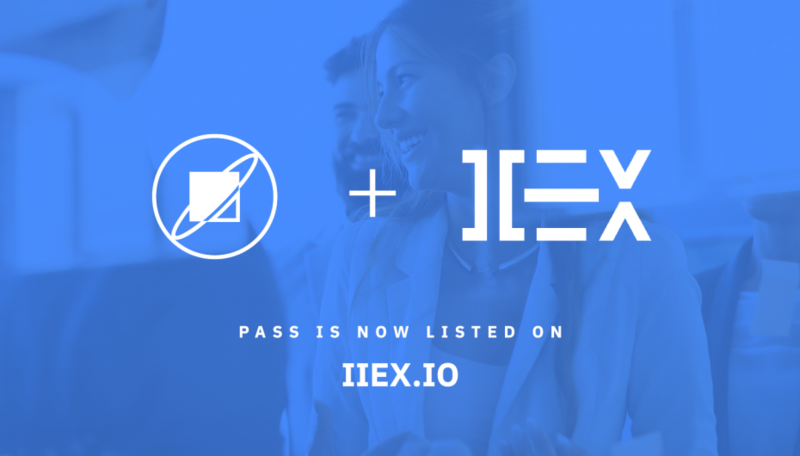 Blockpass has today announced the listing of its native utility token, PASS, on Malaysian-based exchange IIEX. PASS is an ERC20 KYC standard utility token that serves as a discount voucher for the Blockpass platform. The first-of-its kind, PASS token seamlessly integrates KYC-compliant identities, ensuring that all holders are fully verified before they are able to transfer it on. Established in 2017, IIEX aims to be a leading global digital asset trading platform and boasts support for over 20 projects internationally. IIEX strives for trading security, giving users the peace of mind that comes with SSL bank-level security, and only engages with projects which meet its strict market entry threshold.